The Model ACT-31D 1-Channel Block Coded Key Ring TRANS PROX Transmitter & Proximity Tag is designed for use with Linear's access control products. 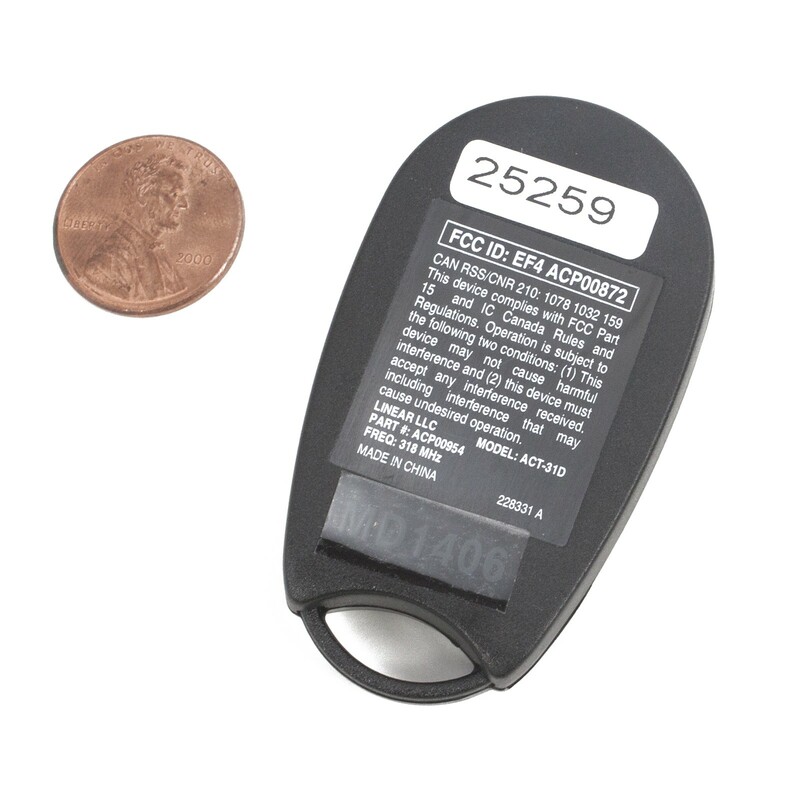 The Model ACT-31D is a single-channel device supplied with a quick-disconnect key ring. Also included are lithium batteries with a five-year service life. A unique 10-second time-out feature prevents the system from being shut down by a single transmitter transmitting continuously. The ACT-31D also contains a 26-bit Wiegand proximity tag programmed to the same block code as the transmitter. 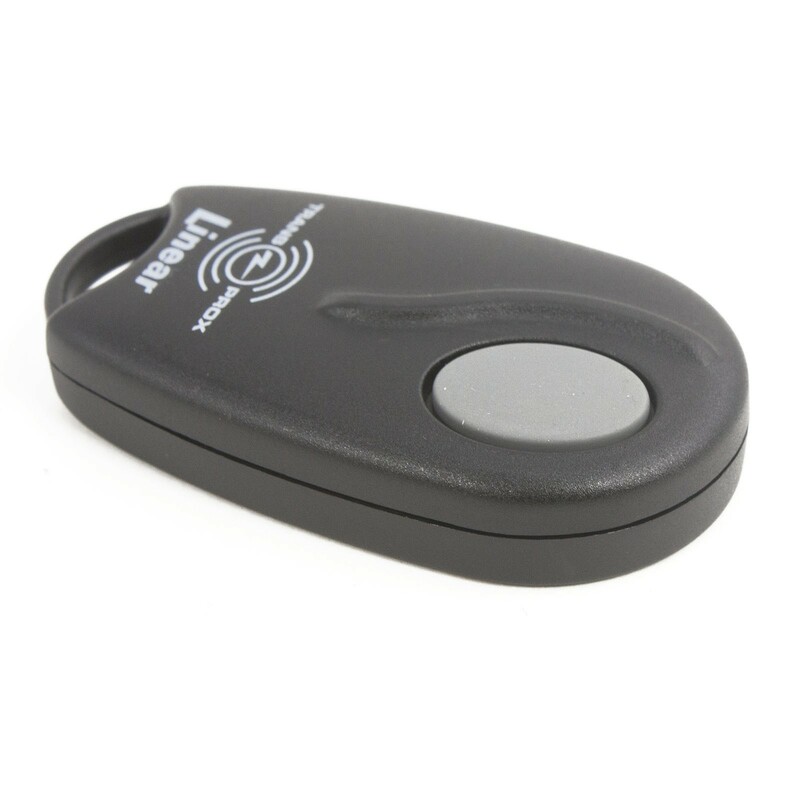 The tag is compatible with the Model AM-PR Proximity Reader. 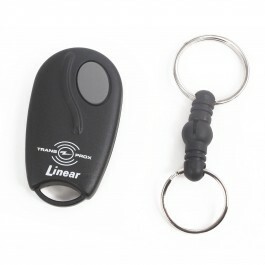 Waving the transmitter near the reader will request access from the system.